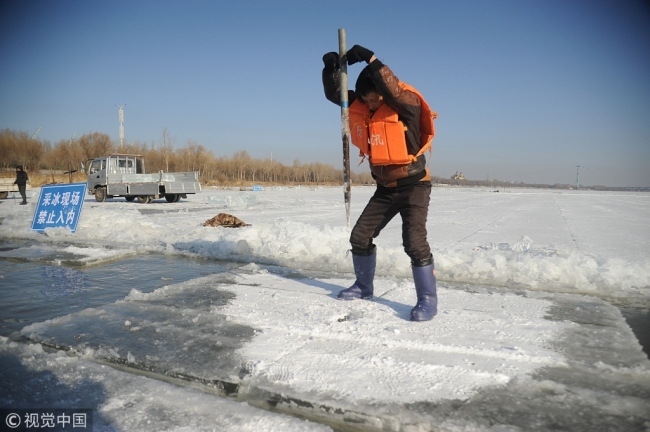 The ice(冰) harvest officially begins(开始) on the surface(表面) of the Songhua River(松花江) in Harbin, capital of Heilongjiang Province on Sunday, December 3, 2017. 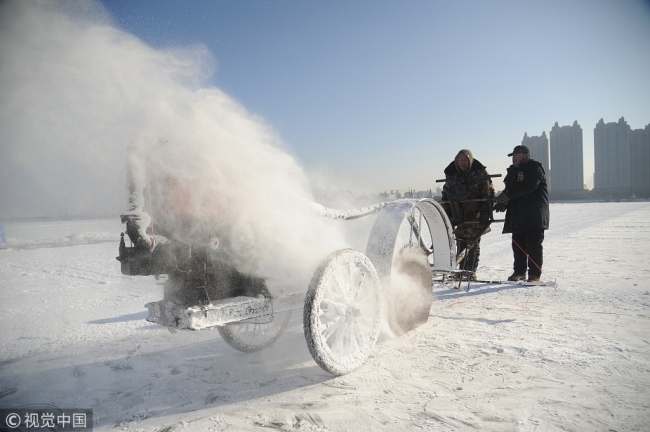 Ice is harvested for the 34th Harbin International Ice and Snow Festival, which will be held(举行) from(从) December 24, 2017 to(到) February 25, 2018, with its official(正式的) launch taking place on January 5. A man cuts(切) ice on the surface of the Songhua River in Harbin, capital of Heilongjiang Province on Sunday, December 3, 2017. The Harbin International Ice and Snow Festival dates back to 1963 and has been held annually since 1985. It is in the top(顶级的) four ice and snow festivals around the world(世界) along with Japan's Sapporo Snow Festival, Canada's Quebec City Winter Carnival, and Norway's Ski Festival. Pickers are bent double, plucking each flower with lightning speed. The team was thrown on the defensive. He mainly covers international affairs. You seem to be a bit flat these days. Next：警犬“敬礼”送别老兵 Goodbye my dear friend! “全中国最小的山?#34987;?#20102; Is it a rock or a mountain?